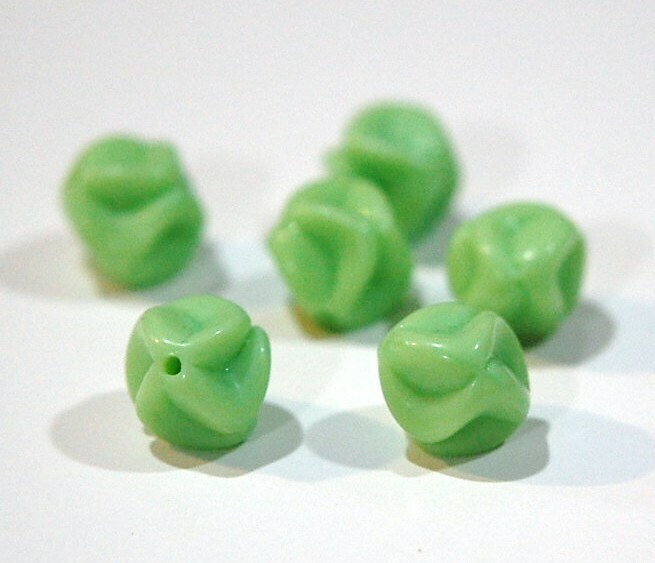 These are vintage glass beads that were made in Germany. They have a baroque or pinched shape. These measure about 12mm. You will receive 6 pieces. 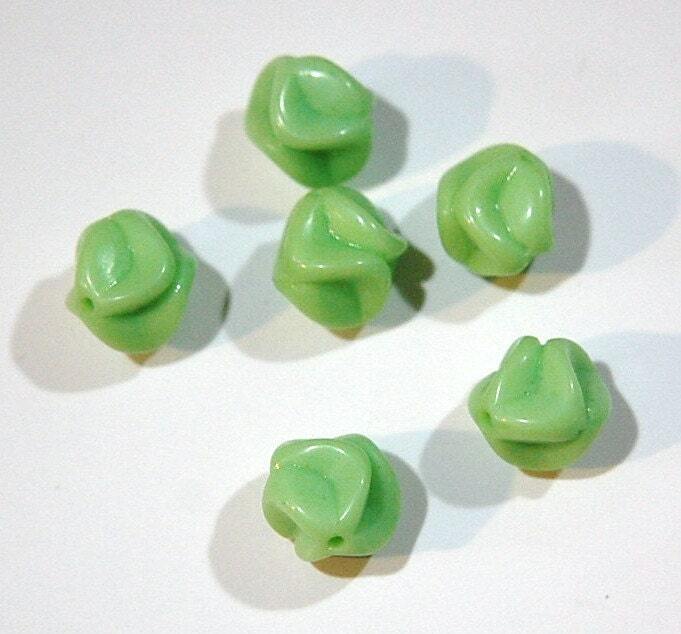 Pale green/mint glass beads, lovely shape.